The Kuban Cossack Voisko abroad celebrated The Protection of Our Most Holy Lady the Theotokos and Ever-Virgin Mary Feast Day on October 15th, 2017 at Saint George Orthodox Church. The faithful gathered at the church for Divine Liturgy at 9:30 AM. 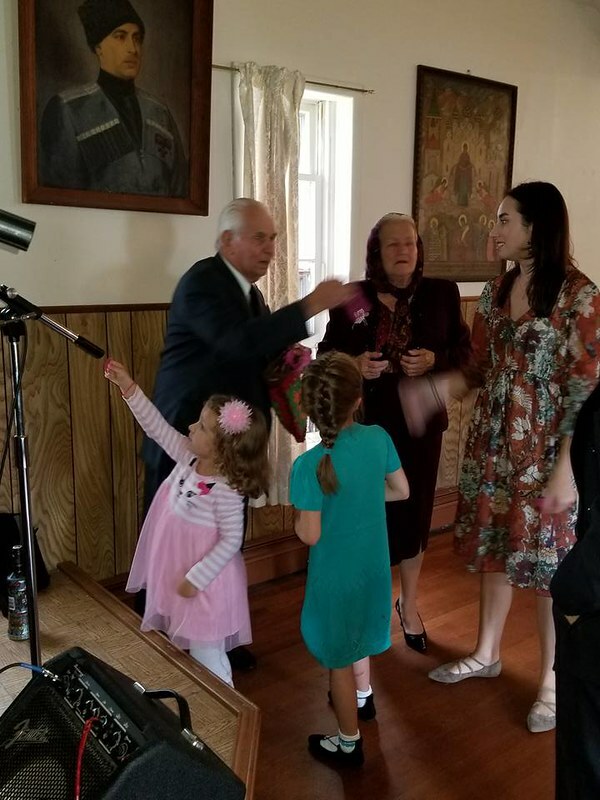 After Divine liturgy the Cossacks and guests gathered at the Kuban Cossack hall for a celebratory lunch. The Kuban Cossack museum was open to all guests for viewing. The Cossacks celebrated with festive Cossack singing, and a demonstration of Cossack traditions. Members of the All Cossack Stanitsa Nikolskaya had attended the celebration. Ataman Alexander Pewnew of the Kuban Cossack Voisko abroad expressed his gratitude to everyone for supporting the Cossacks on this festive and celebrative day. "Photographs courtesy of Larisa Gamarnik"